America’s captivation with natural health and remedies continues to be fueled by health risks associated with modern drugs and environmental factors. Many consumers partake in supplements to make up for any gaps in dietary nutrition, deficiencies, and overall well-being. Studies show that more than 50% of adults take dietary supplements, with multivitamins being the most popular form. Consumers are relying more and more on natural alternatives, and dietary supplement suppliers see the need to market attractive but effective supplements with private label manufacturing. 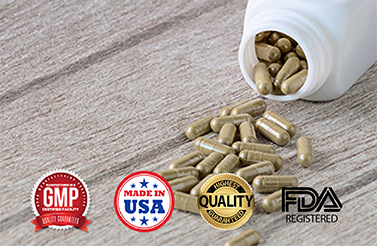 BioThrive Sciences’ finished dietary supplements and ingredients are all regulated by the U.S. Food and Drug Administration (FDA). Our manufacturing facility upholds the highest standards in safety and labeling of our products. Our dietary supplements can be made with customized formulas that meet your exact needs for target audiences. Our practices and shipping are convenient, fast and time-saving. Whether your company is a national chain or local health food store, BioThrive Sciences possesses the ability to manufacture supplements that meet your supply and demand. BioThrive Sciences provides all-natural, GMP-certified, and FDA-approved dietary supplements. All products are made in the USA, and our expertly designed labels will be marketed to your audience while remaining compliant with regulations. Contact our qualified experts for supplement manufacturing and formulation that is fast and customizable. Shipping is quick and our state-of-the-art facility ensures sanitary and safe practices. For more information, send a message online or call: +1 (844) 263-3657.